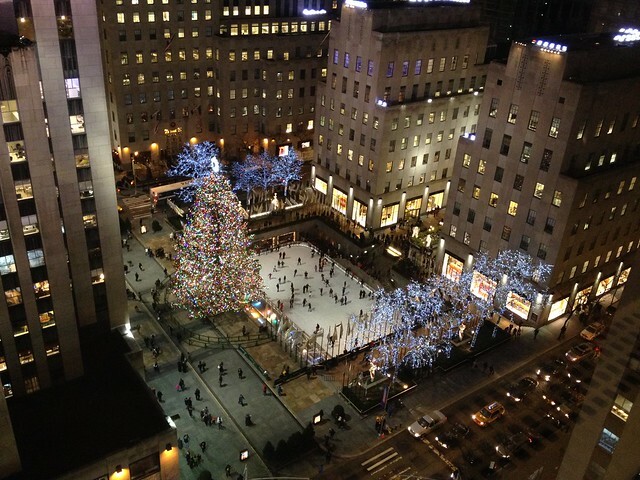 New York is a city bursting at the seams during the festive period. From crazed shoppers to tourists spending the holiday season traipsing the sights hoping for a snow flurry or two, New York has, for a long time now, been one of the go-to places for many at this time of year. Why does New York Appeal to the Masses? With over 55,000 people bombarding this cosmopolitan city each year it would be very easy for many to say that New York has simply become too busy. However, each year more and more European guests arrive into JFK airport without hesitation, so there must be something pulling all of these tourists into the city. Perhaps it is down to Hollywood and the magic of film. After-all many of the Christmas films that will shortly start to play on televisions feature a very merry, joyful Christmas scene filled with twinkling lights, happy Santas and a fluttering of snow. Everyone, young and old, loves a bit of Christmas spirit, so if it means hopping on a plane, wrapping up in an over-sized winter jacket and bracing yourself for a weekend of bedlam, then so be it. Each morning, shop owners across New York must rub their hands together with glee knowing that another frenzied day of buying is about to begin. This is probably the number one reason for many boarding a flight at this time of year – The hope of gaining a deal or two in the shops. But, be warned, whilst you may feel that you can negate the cost of your flight in order to pick up some real bargains, make sure you do your research, not everything is a cheap as it seems and sometimes, it may even work out significantly more. So whilst you may wish to shop like Carrie Bradshaw, be careful that you don’t end up losing out to those sneaky brands that have upped their prices in this shopaholic’s paradise. Not a shopper? 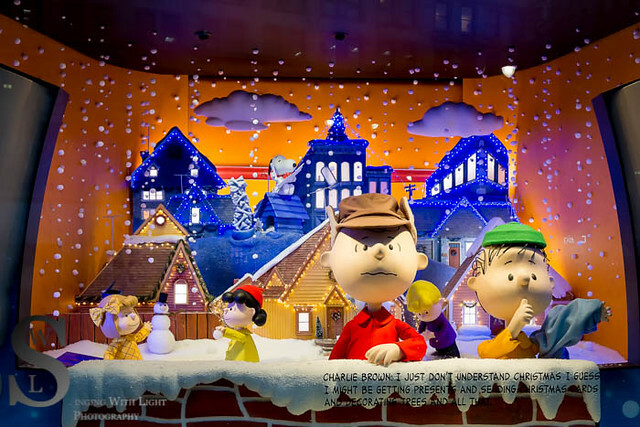 Do not fret, there are many other great things to do in this city but don’t rule out a wander down the overflowing shopping streets just to take a peek at the spectacular window displays going on at the likes of Saks, Macy’s, Barney’s and Bloomingdales. I promise, it will make the nightmare of shop browsing more bearable. If you are not into shopping, and yes those people do exist, I am one myself, then it is often off-putting to go anywhere near a city at this time of year. However, don’t completely rule out a trip to this vibrant city because shopping is not the only thing New York has to offer. Since 1931 a tree has been placed in this spot each year so that thousands can visit to gawp up at the 30,000 odd neon festive lights that decorate this extremely oversized Norway spruce. Back at the beginning, the tree was a mediocre 6’1 covered in cranberries and tin cans, but now in reaches the grand dizzy height of between 80-100 ft.
Who wouldn’t want to visit this towering, festive masterpiece? Wrap up warm so that you can enjoy the music and the seasonal laughter all around you with an evening trip down to the one of the many ice skating rinks in New York. Whether you prefer the festive Rockefeller Centre rink, the larger Bryant Park Rink or one of the two available to you in Central Park, it is guaranteed to be a fun way to spend a evening with friends or loved ones. From Chelsea Market to Union Street Market to the Winter Market at Skyline One Hanson in Brooklyn there is bound to be a market that appeals to everyone. Whether you would prefer a wooden hut, German style market or a more artistic, vintage bazaar, all tastes have been catered for. Why not take a break from the hectic stores and enjoy a mulled wine and mince pie underneath a heater in a wintry setting. Surely all who visit will walk away feeling ever so slightly more festive. Do locals really decorate their houses like in the movies? It seems that they do. 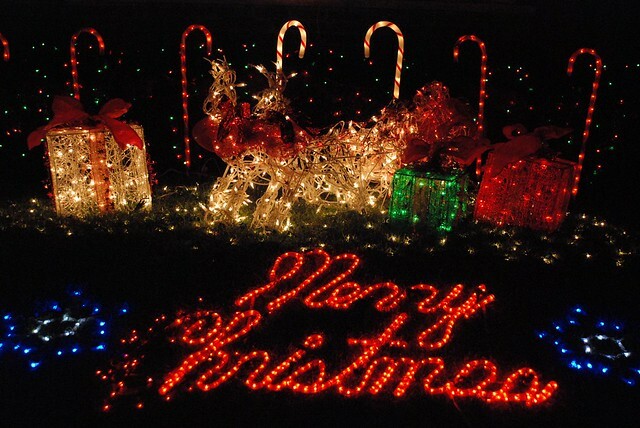 Hop on any one of the tour buses that will take you around the residential area of Brooklyn where you can see for yourself, the thousands upon thousands of brightly-lit bulbs that go up around the city each year. Make sure you get a tour that takes in the impressive Dyker Heights – this is where you will find the biggest and brightest declarations. 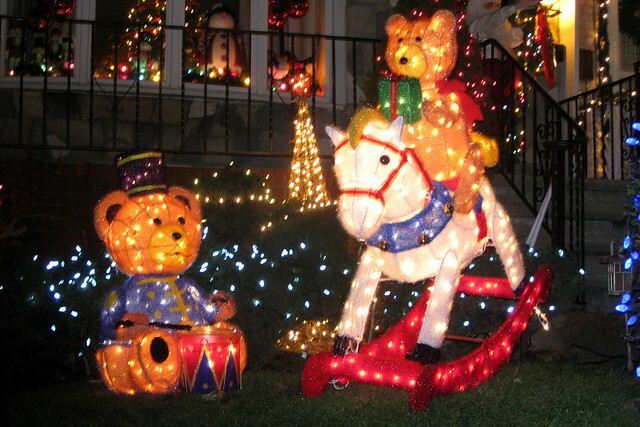 From inflatable Santa’s to reindeer on the roof, these residents spend serious money to make sure their house looks as festive as their neighbours each year. Finally, remember – after a hard day or either shopping or exploring this is a city brimming with fantastic restaurants and fabulous bars just waiting for you to discover them. This gives you the perfect excuse to relax and enjoy a fine meal or a sophisticated cocktail before a good night of slumber takes hold. 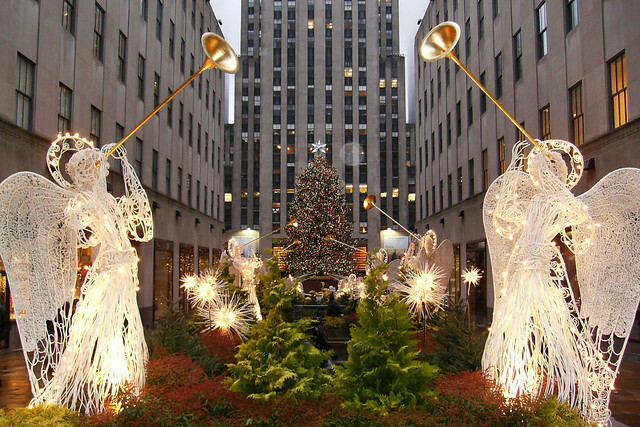 Have you visited New York over the festive period? We would love to hear your recommendations for where to go and what to see during this time. This article was sponsored by Cheapflights and Post Office Money but all words and suggestions are my own. Next articleTravelling Morocco – Where Should We Head Next?